It was the time when cycles ruled the road, and a few rich Indians rode scooters like Lambrettas or Vespas. Cars belonged to the super rich and Hindustan Motors’ grand, bulky Ambassador became a status symbol in a league of its own. The launch of this iconic car in 1953 was the auto industry’s ‘Make in India’ moment. The Hindustan Ambassador, based on the Morris Oxford III model sold by British carmaker Morris Motors, made history as ‘the first car’ from the Indian soil. And then there was the sleek and compact alternative to the macho Ambassador: the Fiat Millecento. In 1956, the Millecento evolved into the 1100 Elegant, which in turn got upgrades—ranging from ‘the Select’ to ‘the Super Select’ models. 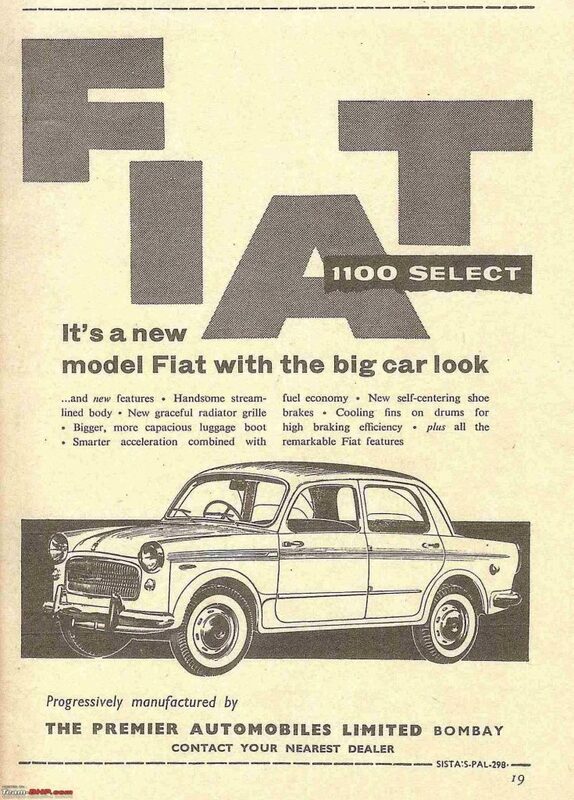 Almost a decade on, in 1965, the 1100 Delight—the first Fiat manufactured in India—tasted phenomenal success. Mumbai-based company Premier Automobiles Limited, a division of the Walchand Group, started producing the car for the home market under a licence from Fiat. What made it stand out was the fact that most of its parts were manufactured locally—this Fiat left an imprint as the classic sedan from India. In 1974, Fiat 100 Delight was marketed as ‘Padmini’ in India— the sedan was named after the 14th-century fictional Rajput princess Rani Padmini, who was known for her beauty and elegance. The Italian Fiat caught people’s imagination as the Indian Padmini. So much so that advertisements promoted the sedan as ‘Padmini, a beautiful princess of your own’ with the picture of a female model who represented the royal Indian beauty—dolled up, and adorning ethnic silver jewellery and a red bindi. There was a fascinating method behind popularising Padmini as a brand steeped in Indian tradition. “Its other meaning is the one who sits on the lotus: Goddess Laksmi—the goddess of wealth. Though it was never promoted as a car for women as there were not many women drivers, the name reflected the value of women in Indian culture. Its effort to Indianise the Italian product was unique and full of value,” said Harish Bijoor, a brand expert. 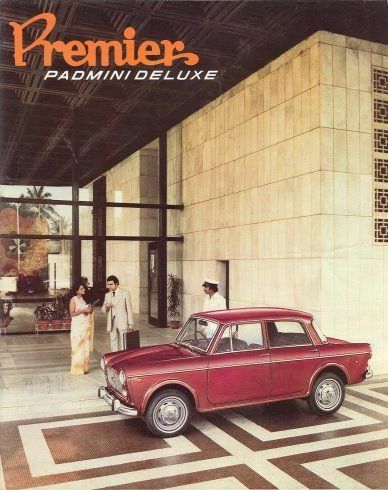 For a generation, the Premier Padmini became the indispensable mode and travel companion. “This car is a constant feature in all our family travel photographs. In some, it is in the backdrop; in one photo, we are just flaunting that we are the car owners,” said 70-year-old retired lawyer, TR Chawla. He recalled their travels to Mathura when his Premier Padmini broke down in the middle of nowhere. “The car was easy to fix, the technique was simple once you opened its bonnet. I used to do most of its repair and maintenance on my own every weekend. But I still remember how heavy its steering was,” he added, pointing to what gave the low-maintenance sedan a distinctive edge. 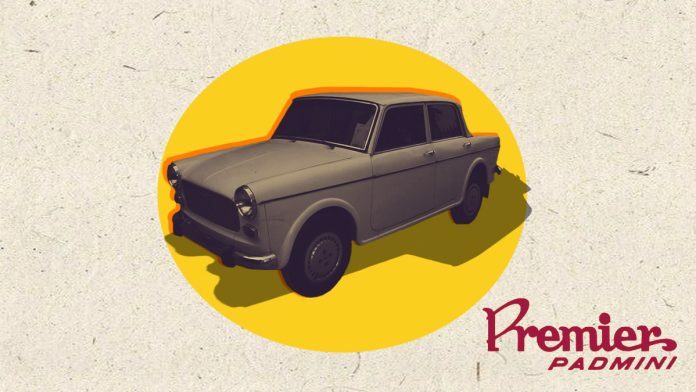 The Premier Padmini was the first car which challenged the monopoly of the Ambassador. Though the Ambassador remained more successful commercially, the Premier Padmini dominated the market as a family car due to its compact built. It became synonymous with the kaali-peelis —the yellow and black taxis in Bombay (now Mumbai)—and the preferred sedan for public transport in India’s financial capital. “It was unique in the Indian car market which was ruled by the Ambassador and the Standard Herald—both big and heavy cars. Padmini aesthetically divided the car market into sleek and heavy cars,” Bijoor said. Over the years, its curvy bonnet was flattened out to create sharper and brighter silhouettes, a look that survived till the very end of its production run. The cosy sedan remained popular even among the Indian middleclass till the inception of the Maruti cars in 1983. The Premier Padmini was assembled from scratch at the company’s Kurla plant till 1997, when Premier sold its stakes back to Fiat. Long after its glorious run ended—albeit commercially—many an owner has remained loyal to the Padmini, as Dhanil Vira, editor of the website Motorbeam, writes in a blog. And that is why Premier Padmini shall remain the first among equals in India’s automobile history. The article had erroneously said that the Fiat was launched in 1958 when it was launched in 1953. It has been updated to reflect the same. Love the fact that The Print is looking at great Indian automotive icons in a nostalgic manner. Kudos to you for that but much as I applaud you for this I must correct you on a few points. You said it was pinched in by heavy cars like the Hindustan Ambassador on one side which is correct & by the Standard Herald on the other which is so horribly incorrect. The Herald was the smallest of the trio & for quite long was made only in two-door form! Also as I had outlined in my remarks to you after reading the Ambassador piece some weeks ago, it may have been the most successful from HM but the Calcutta based firm started manufacturing & not just assembling cars with the Hindustan 18 & Landmaster earlier than the Ambassador. Keep on at this nevertheless because these were symbols of what dominated Indian minds & aspirations in an age where ridiculous socialist thoughts pegged back the nation, massively!